King County, Wash. is the first recipient of financing from a new water infrastructure loan program at the Environmental Protection Agency (EPA). 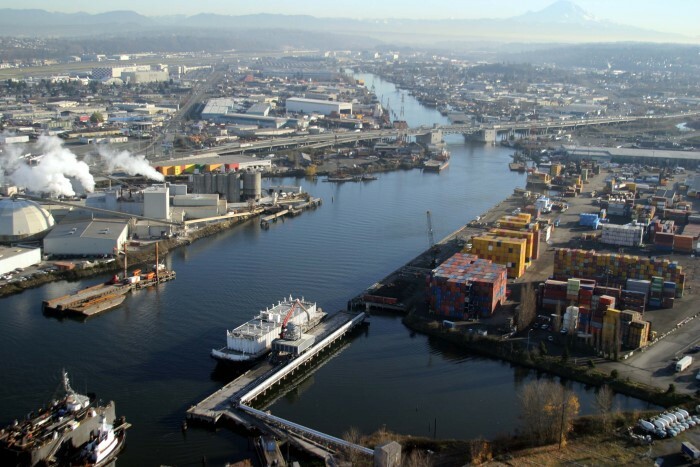 The EPA will provide $134.5 million in financing to the county to construct a center to reduce — by more than 95 percent — the amount of untreated wastewater and storm water entering the Duwamish River, which drains into Puget Sound. The Water Infrastructure Finance and Innovation Act (WIFIA) program accelerates investment in water infrastructure by providing long-term, low-cost supplemental loans for regional and national projects. When constructed, the county’s Georgetown Wet Weather Treatment Station will treat up to 70 million gallons of combined rain and wastewater a day that would otherwise have discharged directly to the Duwamish without treatment during storms. The sustainable design includes a green roof and cisterns to filter and collect storm water. The station is expected to be completed in 2022. The process for applying for the financing began in spring 2017, Kaplan said. There were three phases. The first was for the county to submit a letter of interest, which it did in March 2017. The letter took about four weeks to put together, he said. It included an overview of the project, some basic financials about the wastewater treatment system, engineering studies and county policies and capital improvement plans. King County got the green light that it “made the cut” in July, from the EPA national office, to submit a full application for the financing. The EPA received 44 letters of interest and of those, chose 12 including King County. Kaplan worked with project managers to pull together information for the full application, which was 30 pages long with 50 different exhibits. “We began in late August and finally completed it on Nov. 6,” Kaplan said. It included more information about the project, finances and insurance. The next step was an hour-and-a-half phone presentation to EPA in December that included Kaplan, the division manager and project managers, where they discussed the status of the construction, work done to date and more. The county began reviewing a 100-page long loan agreement in February with their in-house and bond counsel. “We then spent about six weeks to customize the agreement to the county’s policies and practices,” Kaplan said. Kaplan’s words of advice to other counties considering applying for WIFIA financing? Show that the county is committed to the project and isn’t likely to abandon it. It helps that a project is well into the design stage and into construction; that shows commitment to the project. Know that you can go back and capture funds already spent. The loan will finance half of the project’s total cost, $275 million. The project will create 1,400 jobs and save the county up to $32 million by financing the loan through the new loan program, the WIFIA, according to the EPA. The center will provide job training and apprenticeship opportunities during its design, construction and operation through the county’s Priority Hire program. The program requires contractors to train and hire construction workers living in local ZIP codes with high levels of poverty and unemployment. The EPA announced April 4 the availability of additional WIFIA funding for water infrastructure projects that could provide as much as $5.5 billion in loans, which could leverage over $11 billion in water infrastructure projects. Funding is available for projects that protect the public’s health by reducing exposure to lead and other contaminants in drinking water systems and updating aging infrastructure. Borrowers seeking financing must submit a letter of interest by July 6.